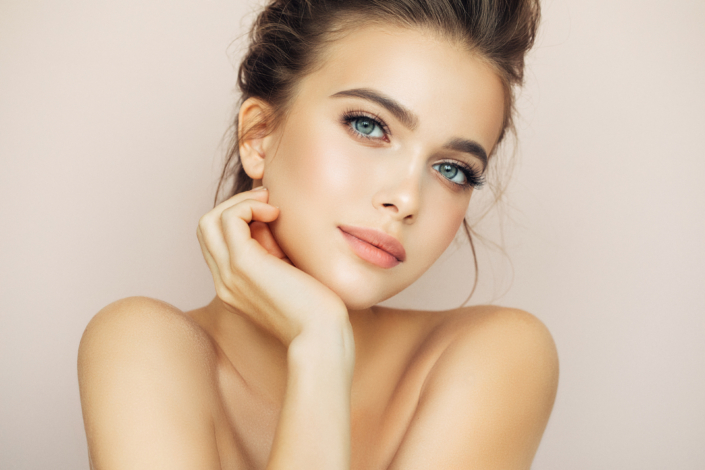 Kybella is the first and only FDA-approved injectable treatment to improve the appearance of moderate to severe fat by physically destroying the fat cells. The active ingredient in Kybella is synthetic deoxycholic acid (DCA), a naturally occurring molecule in the body that breaks down and absorbs fat by breaking down cell membranes of fat cells. When injecting Kybella, the response is that fat cells are targeted to destruction.The dissolved fat then gets cleared by the lymphatic and circulatory systems, as any waste product in our bodies does. These target fat cells remove themselves gradually over the span of several weeks. As for the Kybella/deoxycholic acid, it follows the same path; It gets metabolized and broken down, and then excreted as waste. Sometimes, no matter how much you exercise or diet, the stored fat will not go away. Resulting in “double chin” or unwanted fat pockets. Totally tailored to the patient and your unique chin profile. This procedure can be done in the office and usually takes 20-30 minutes. This procedure permanently destroys the fat cells in the treatment area and dramatically improves the chin profile. Multiple injections are required under the chin per treatment session. Typically, 4-6 treatments are required 1 month apart. The side effects are usually temporary and often resolve on their own. Swelling, numbness, bruising, redness, pain, areas of hardness, nerve injury in the jaw that can cause an uneven smile or facial weakness and trouble swallowing. Surprisingly, deoxycholic acid has been used for many years for the reduction of fat. In 2015, a company called Kythera achieved an FDA approval for safe treatment of submental fat using Kybella. Since the FDA approval, Allergan, purchased the company and dropped the Kythera name. The FDA approval provides a safety rating that previous and current non-brand name deoxycholic acid products cannot provide.